The popular mobile title Final Fantasy Brave Exvius began a new cross-over collaboration event with the recently released mobile title Star Ocean: Anamnesis. 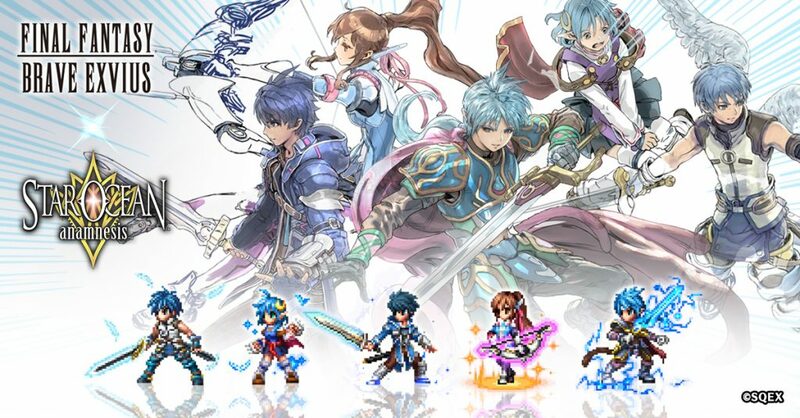 Beginning on July 27th and lasting until August 9th, players will be able to summon characters from the Star Ocean series and take part in a new raid event. Star Ocean characters Fayt and Rena, who first appeared in the Japanese version of Final Fantasy Brave Exvius, are now enhanced and upgraded for the global version and are available through a featured summon. Fidel and Roddick are also available through a featured summon and the fifth character, Reimi, is available as a raid summon. A new raid event is also available during the collaboration period. Players will be able to battle against Jie Revorse from the original Star Ocean game to obtain raid points which can be used to unlock various rewards. Further information regarding the event can be found on the official Final Fantasy Brave Exvius Facebook page. The dates for the Final Fantasy Brave Exvius Fan Festa 2018 have also been announced. 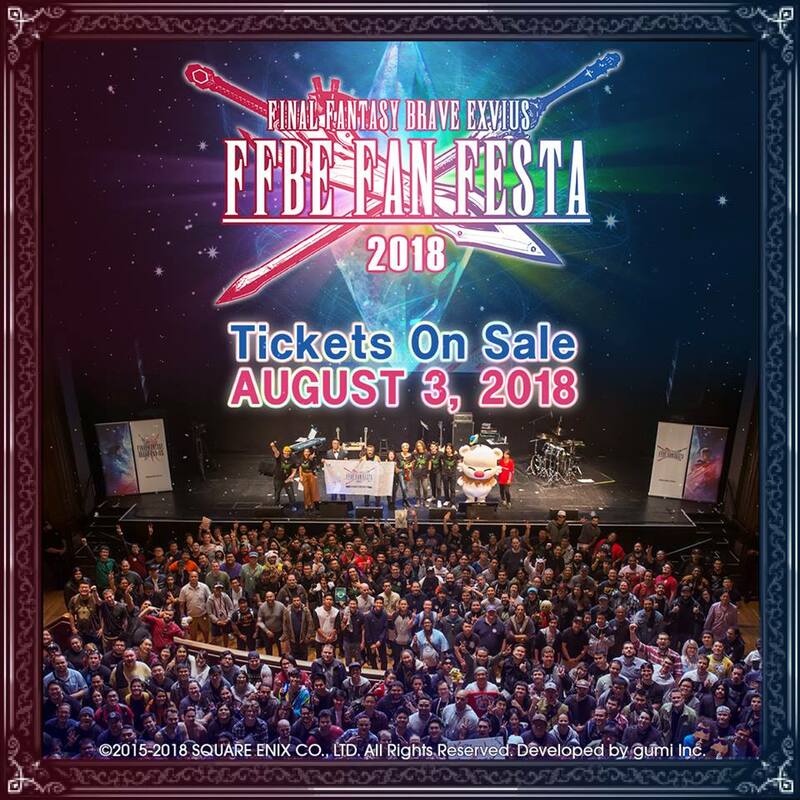 Fans will be able to celebrate FFBE’s second anniversary this year at the Long Beach Convention Center in California on December 8th to the 9th. Tickets will be available for purchase beginning Friday, August 3rd, at 12:00pm PDT. A link for the purchasing page will be available on the official website once sales go live. Final Fantasy Brave Exvius is available now for free on iOS and Android devices. Star Ocean: Anamnesis is also available for free on iOS and Android devices. Posted in Final Fantasy Brave Exvius. Gone are the good old days.